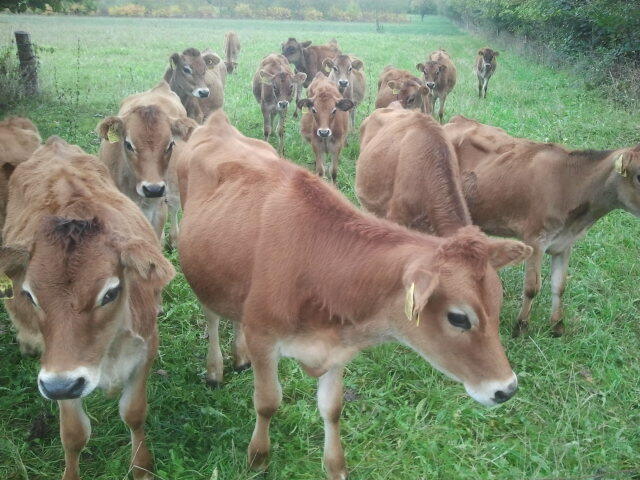 Semi-structured qualitative research interviews were conducted with eight organic dairy farmers (producers and shareholders of Thise Dairy Company), in which they shared their experience with growing herbs on grass fields on long-term basis for both grazing and silage production. Growing herbs implied some challenges: most herbs have a low competitiveness in relation to grasses and clover, their coverage is reduced rapidly from year to year as their survival during winters is low, and the seeds are quite expensive compared to grass seeds. Despite these challenges, the farmers continue to grow herbs year after year – constantly experimenting with optimizing the growing methods and seed mixtures. 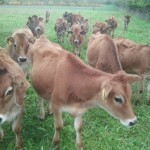 The motivations behind this were that they wanted to offer their animals a varied diet, they can see that the cows like the herbs, and sometimes even prefer them to grasses and clover, they believe in an increased mineral-uptake through the herbs, and that the herbs might have some medical effects on parasites. All in all, they trust that they are doing something good for their animals by offering them herbs in the feed. Plant coverage analyses were done at seven farms, two of which had participated in previous projects having one 100% herb field each. 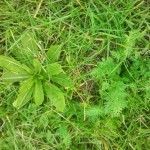 The plant coverage analyses could be combined with the results of plant coverage analyses from the two previous years. The development of the two fields had turned out very differently: one had been spontaneously invaded by 6% wild herbs, 25% rough blue grass (poa trivialis) and 26% white clover (Trifolium repens), and ribwort plantain, red clover, caraway, lucerne and yarrow (sown). All other sown herbs had disappeared. 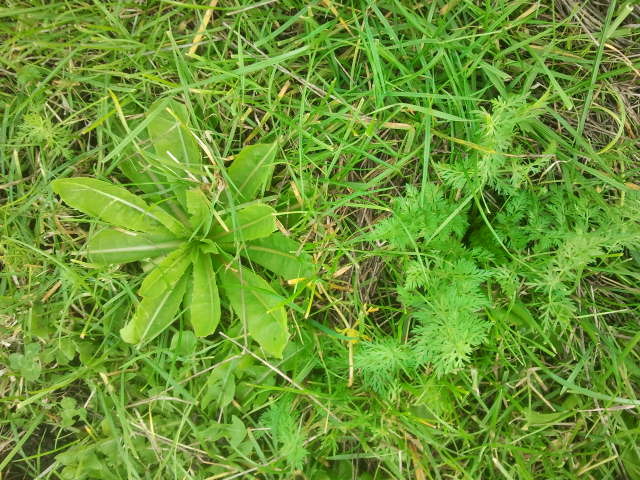 The second pure herb field was now covered 50% by Lucerne, and besides this, caraway, red clover, ribwort plantain and very little chicory and salad burnet. In both fields, birdsfoot trefoil, yellow sweet clover, Sainfoin and starflower never established although the originally seed mixture had a quite high content of their seeds. 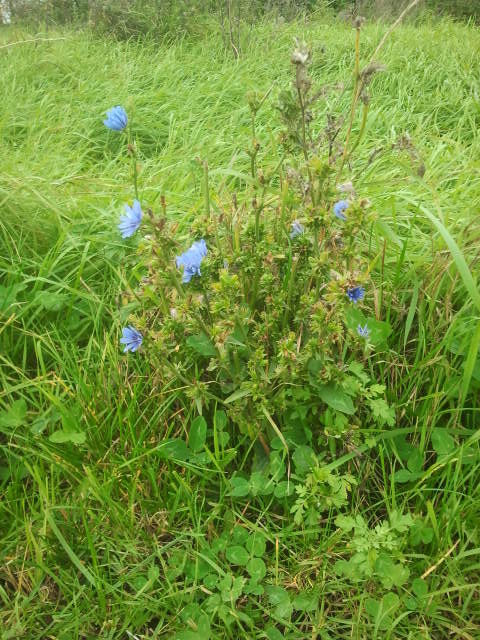 The plant coverage analyses of the fields which were one to six years old, generally, dandelions, grasses and clover dominated and Lucerne became dominating. 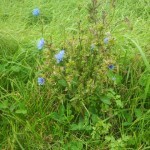 Among the herbs, only chicory and caraway was found after 5-6 years. A literature survey was undertaken with focus on Danish studies, and 17 studies were in-depth reviewed with focus on pasture characteristics and qualities as well as milk composition, yield and content, and potential effects on animal health.